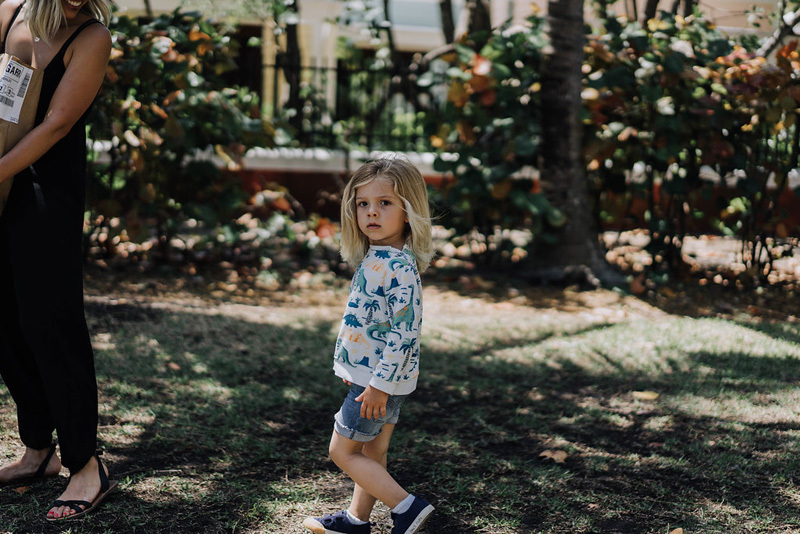 A toddler’s world is full of imaginative stories and nursery rhymes. 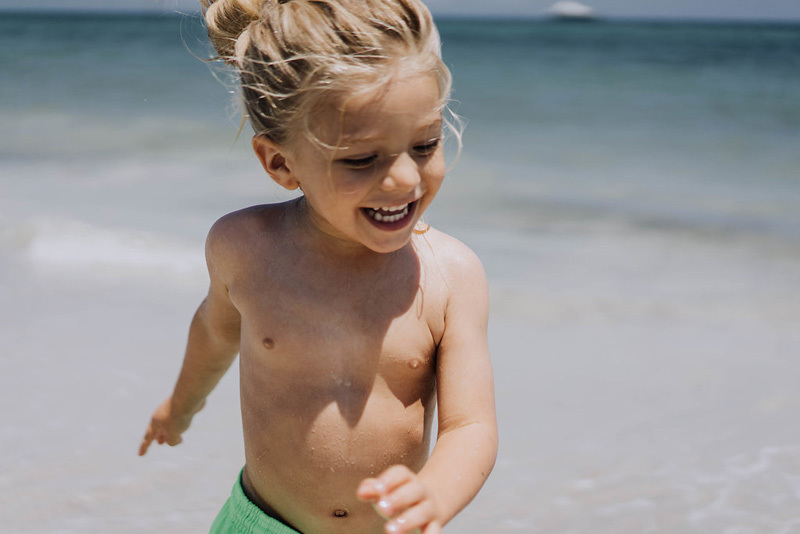 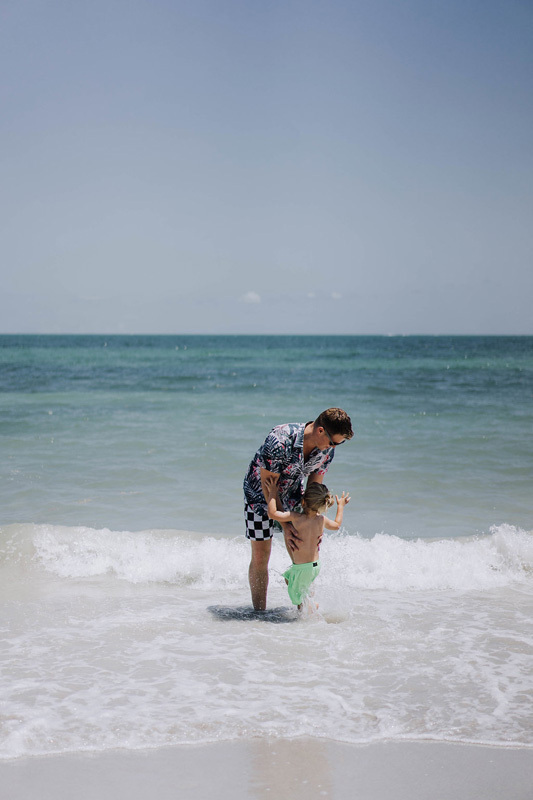 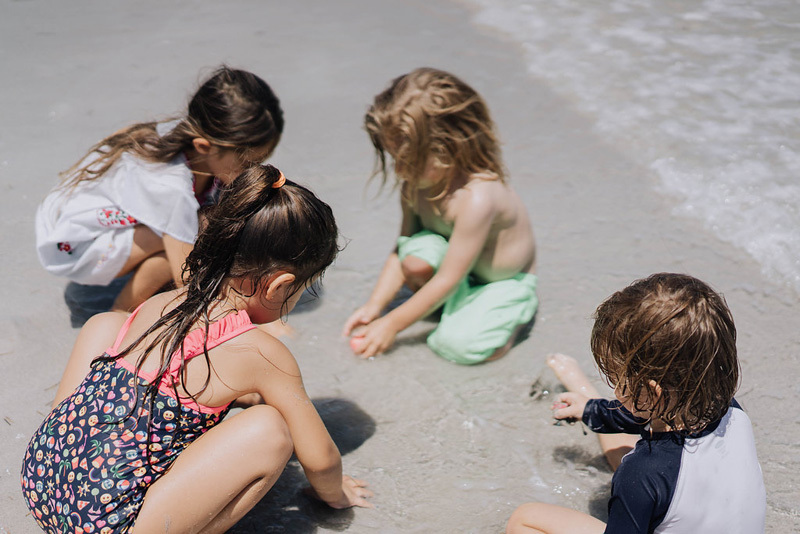 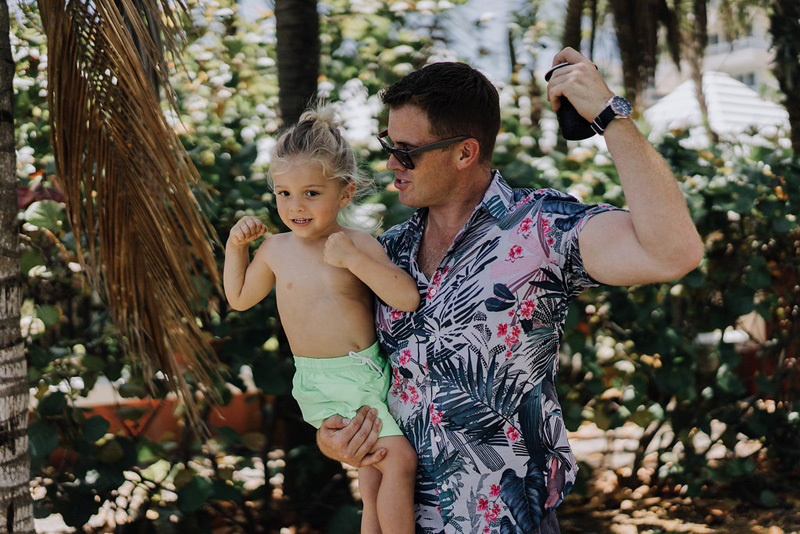 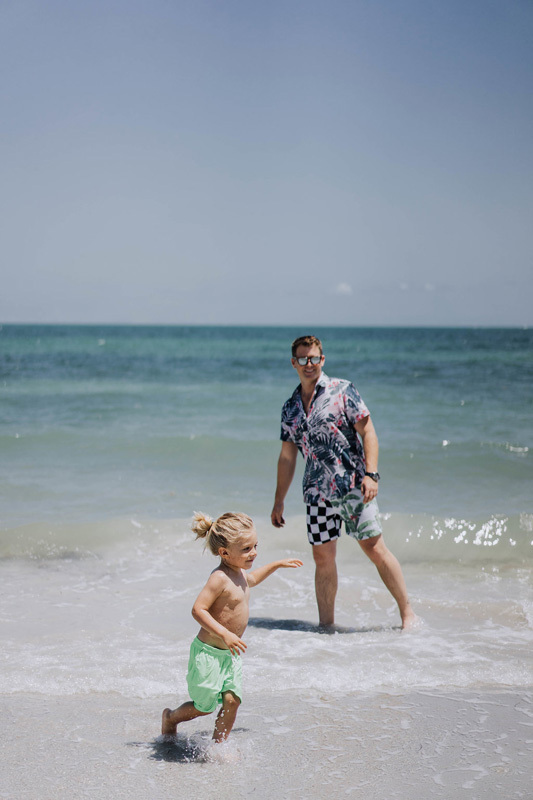 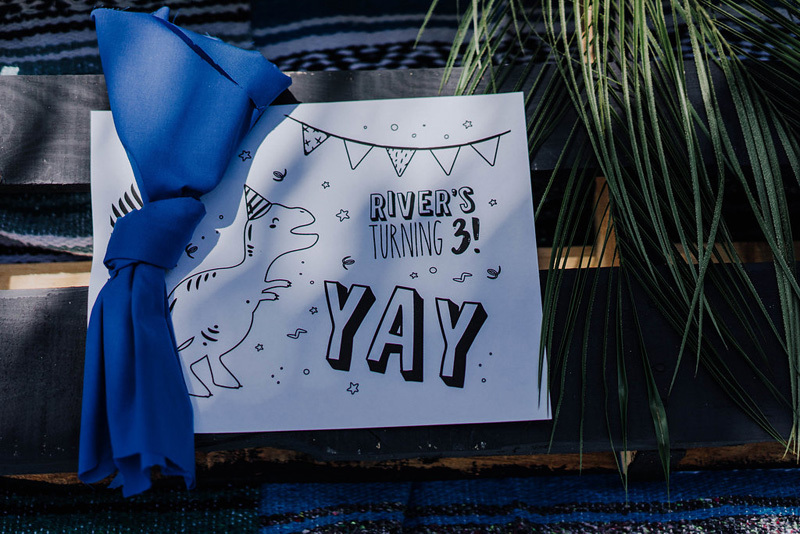 River is an energetic 3-year-old, so it was only fitting he had a beachside birthday party entitled “Wild and Free, River’s 3!”. 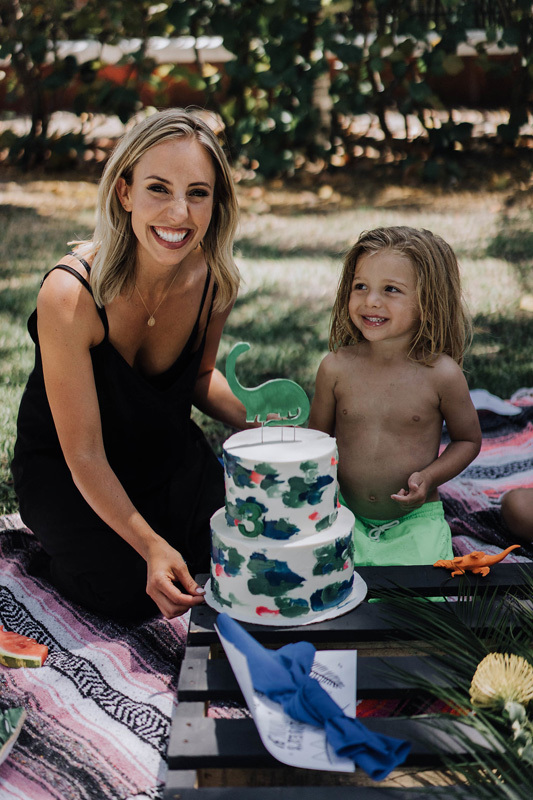 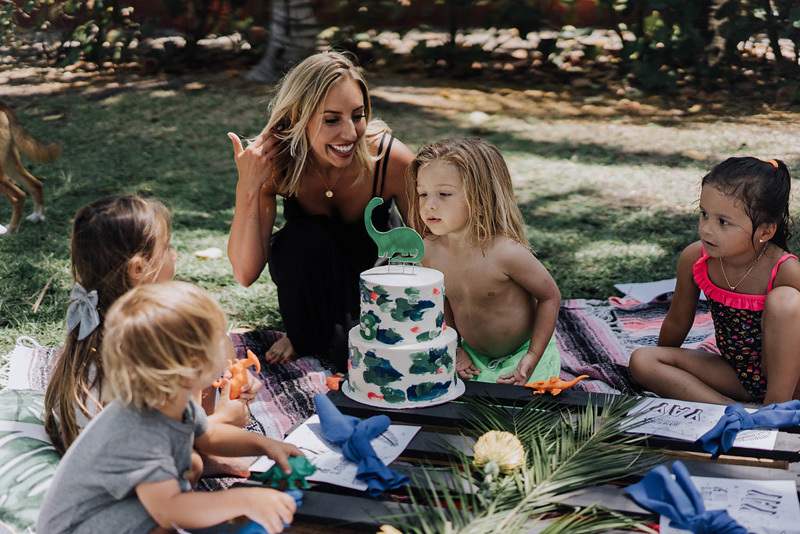 The creative brain behind River’s birthday bash was Ashley Garrett from event design and planning company, The House of Gather. 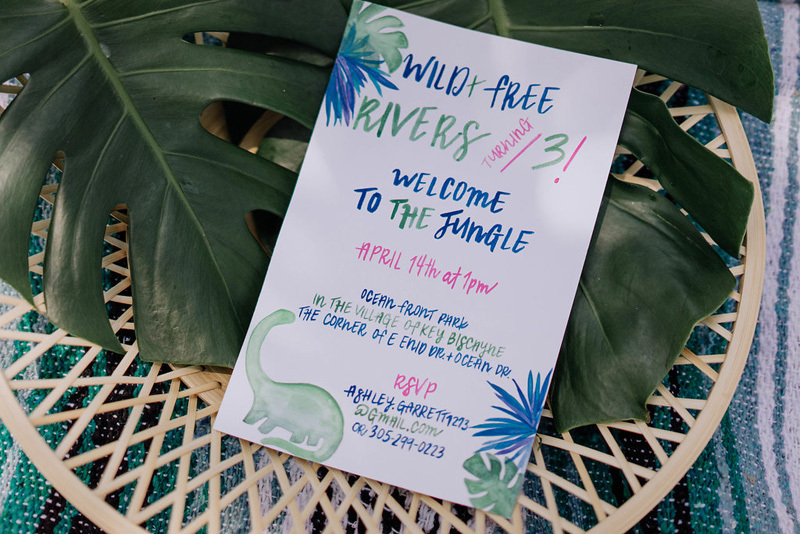 The theme was “Welcome to the Jungle” and was inspired by the beach and bright colours of Miami. 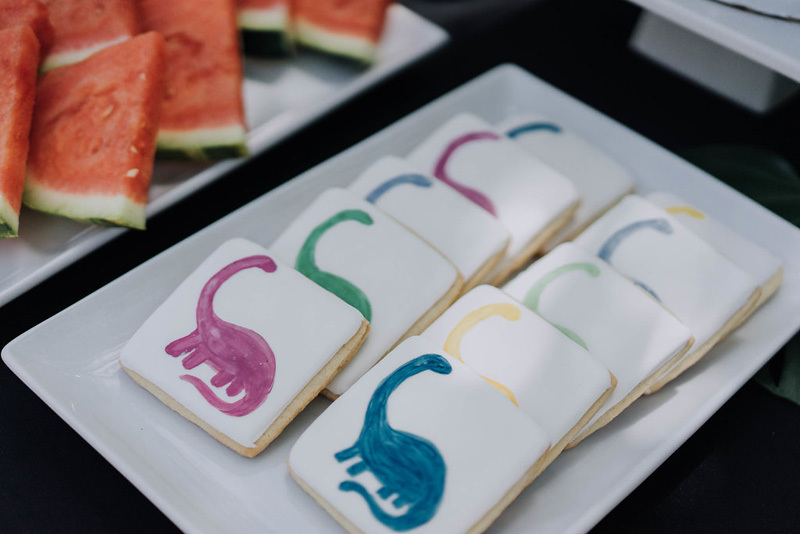 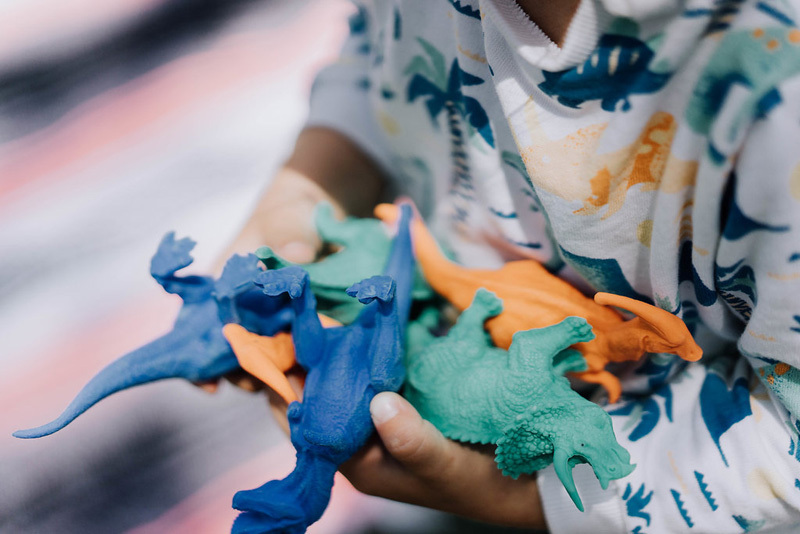 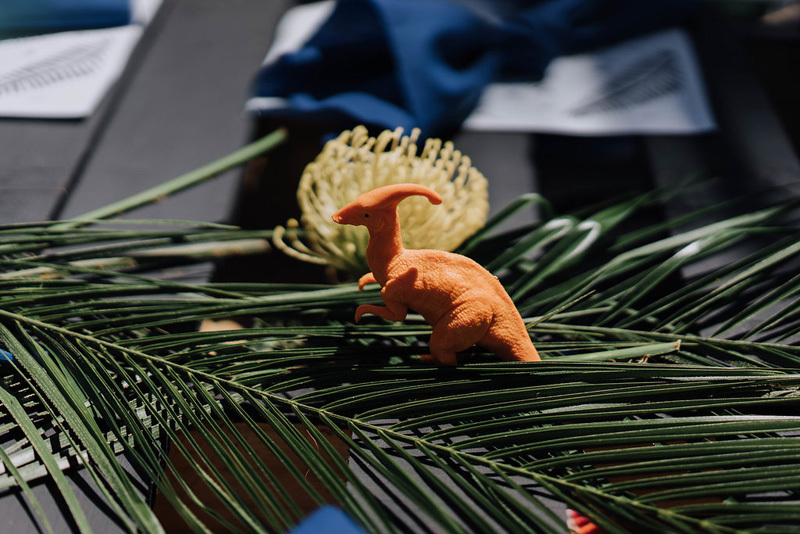 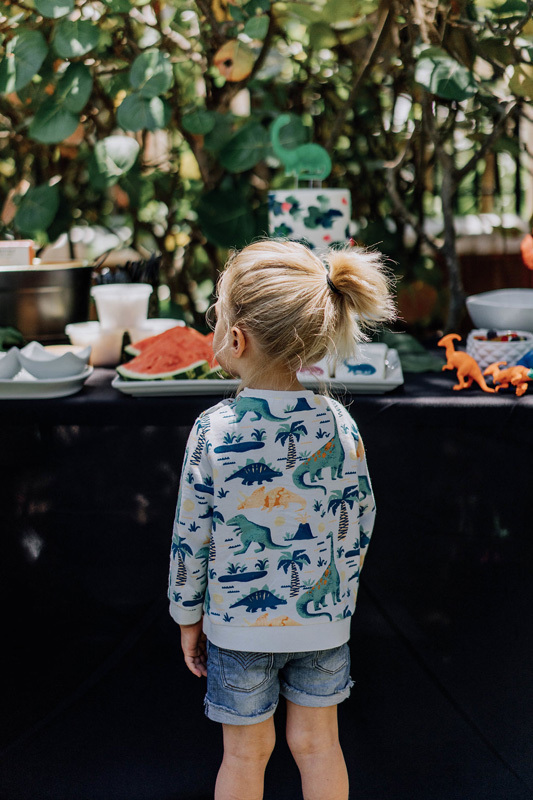 River loves dinosaurs, so the team were sure to incorporate them into most aspects of the party. 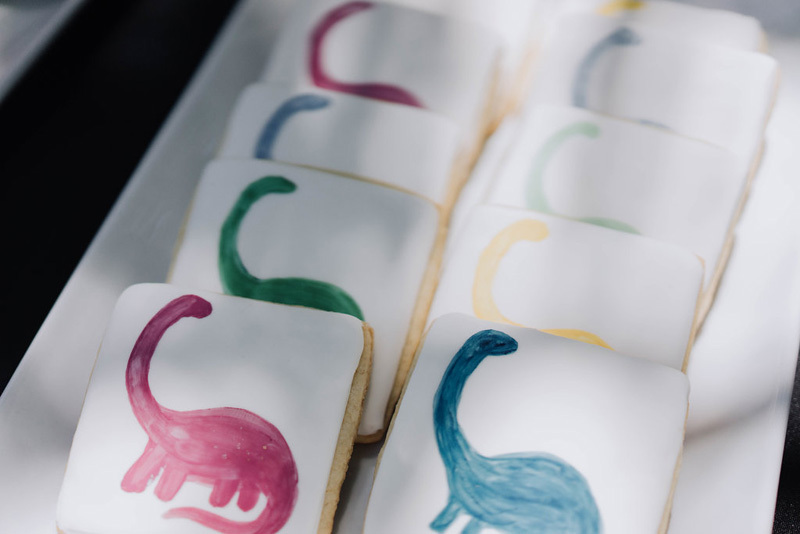 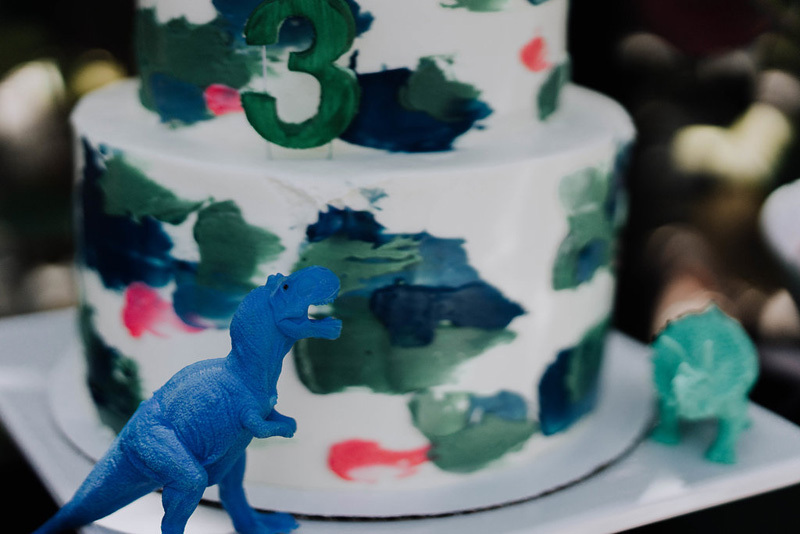 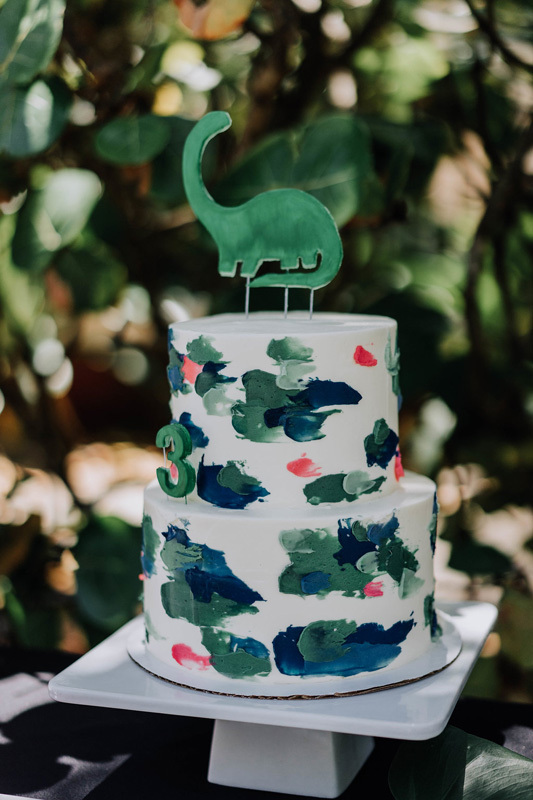 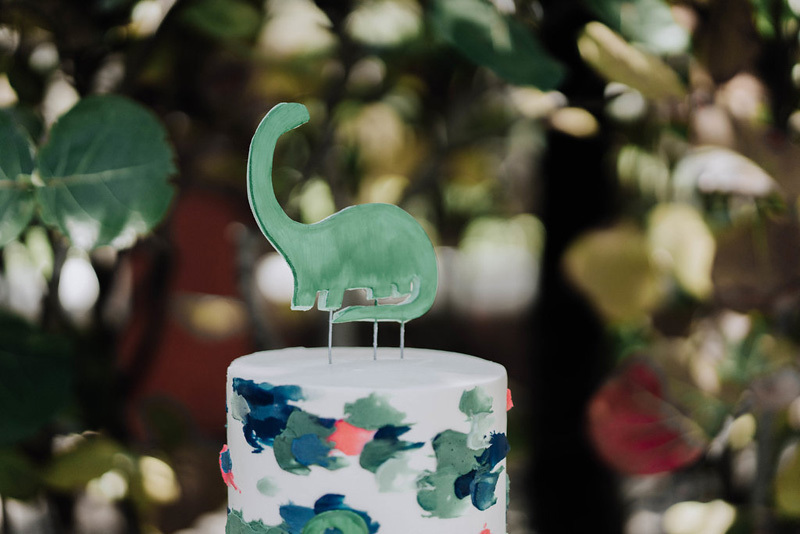 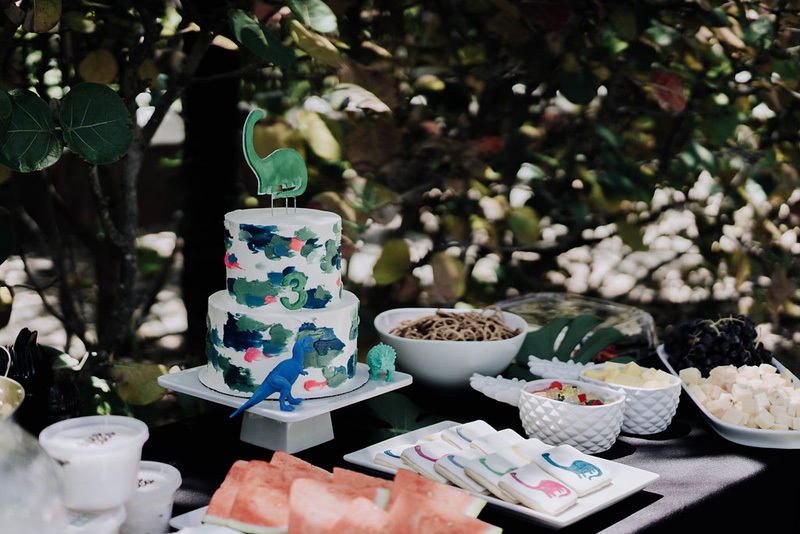 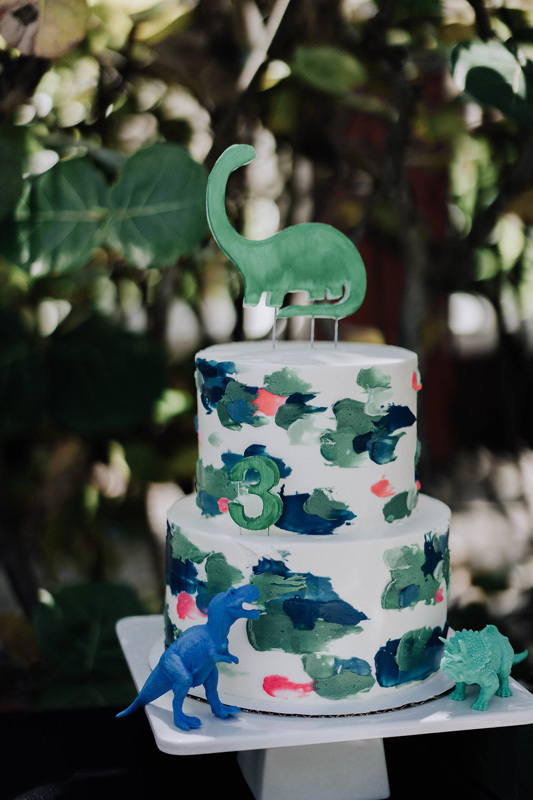 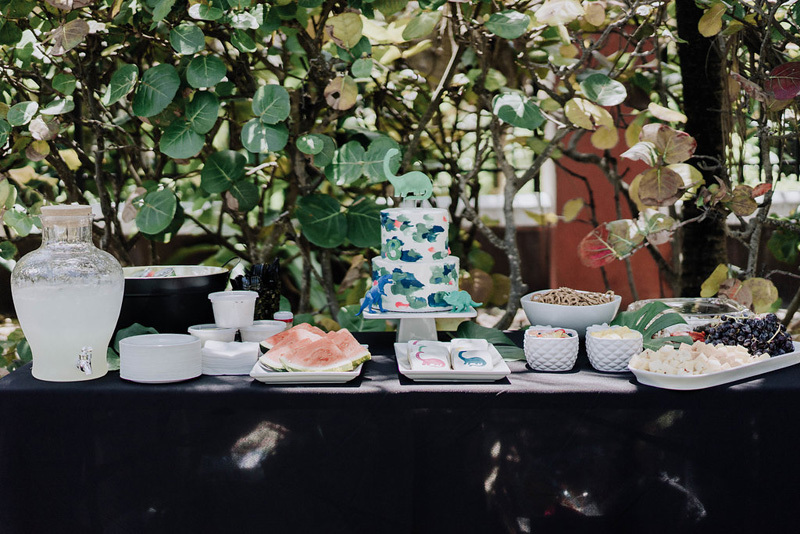 They placed assorted miniature dinosaurs in the centre of the kids table, gave out dinosaur-themed sugar cookies and placed a dinosaur cake topper on the two-tiered jungle cake. 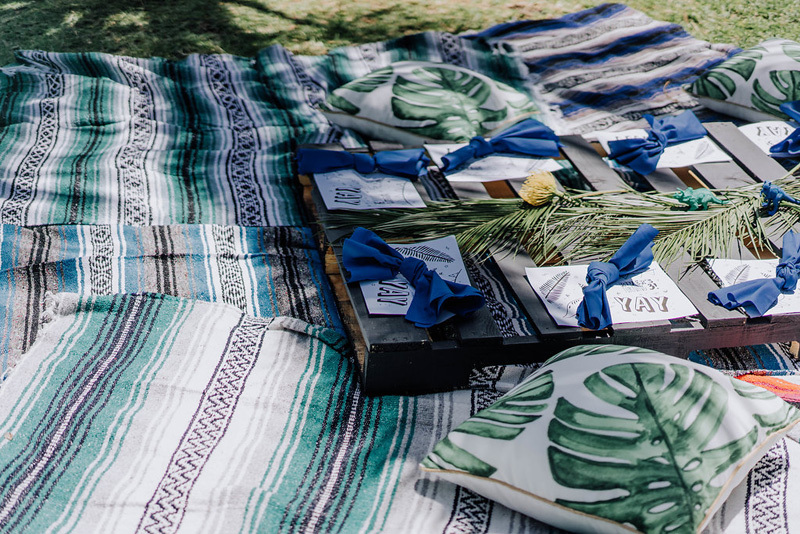 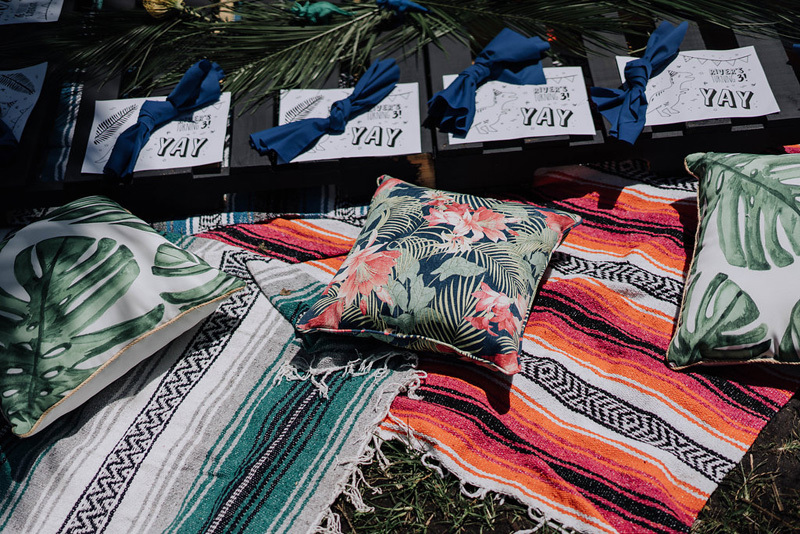 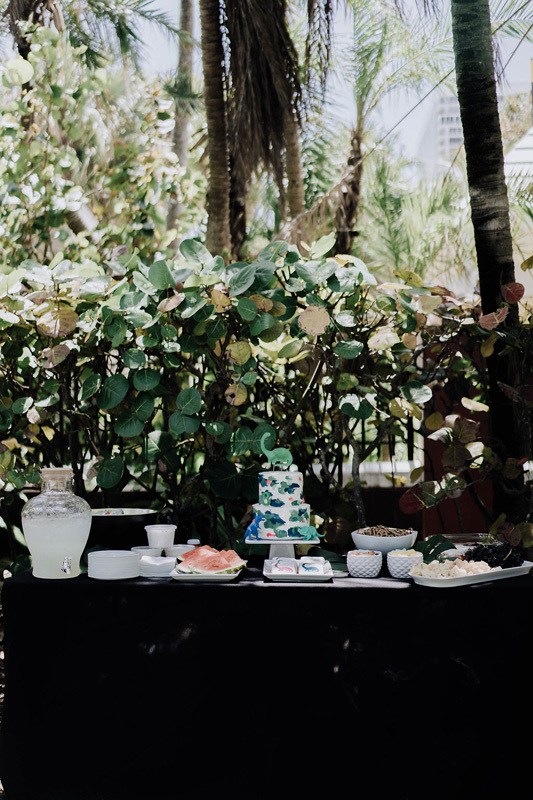 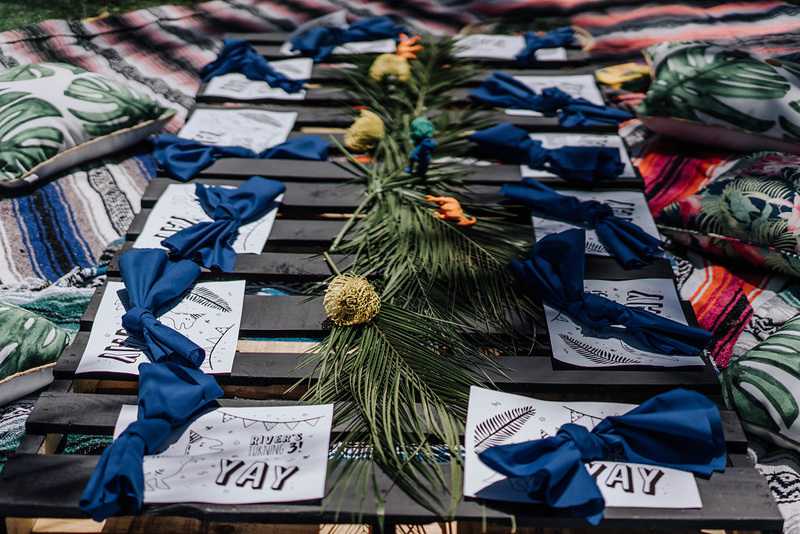 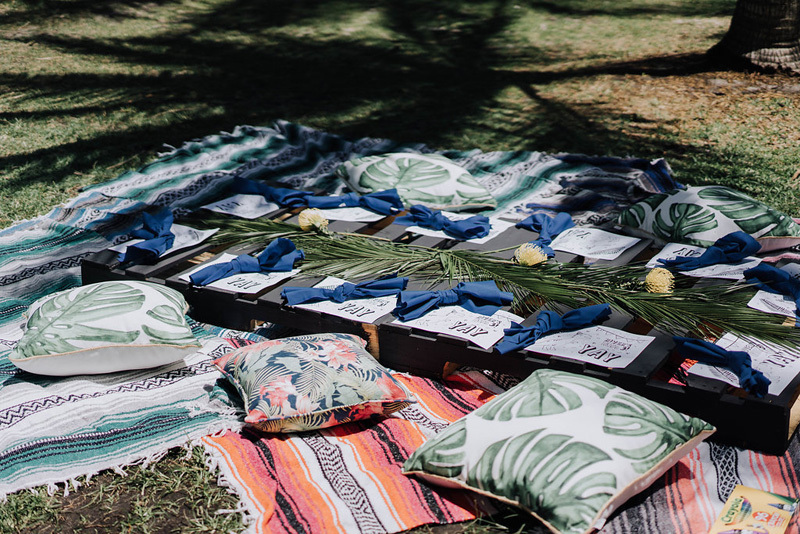 While a setup by the beach was super casual, the party also featured a couple of key handmade elements. 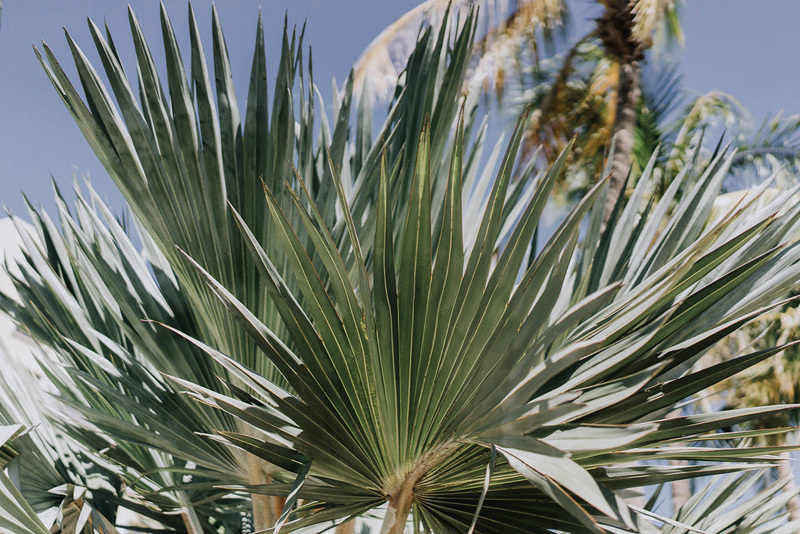 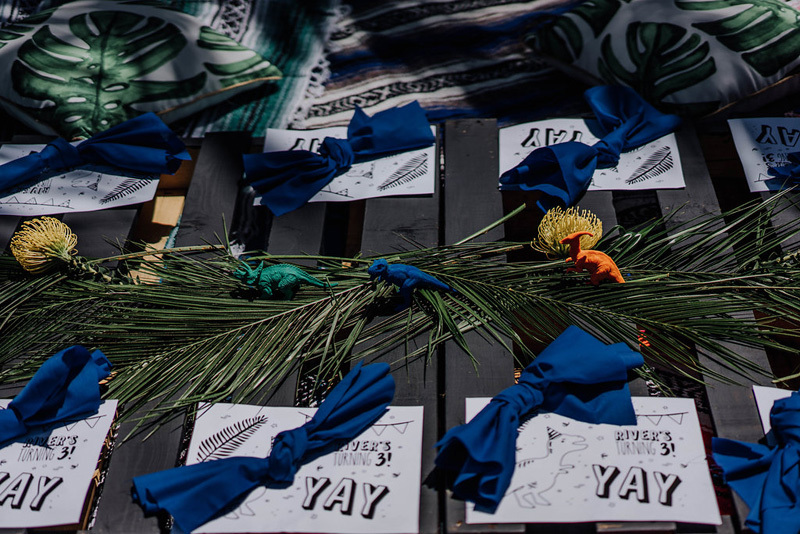 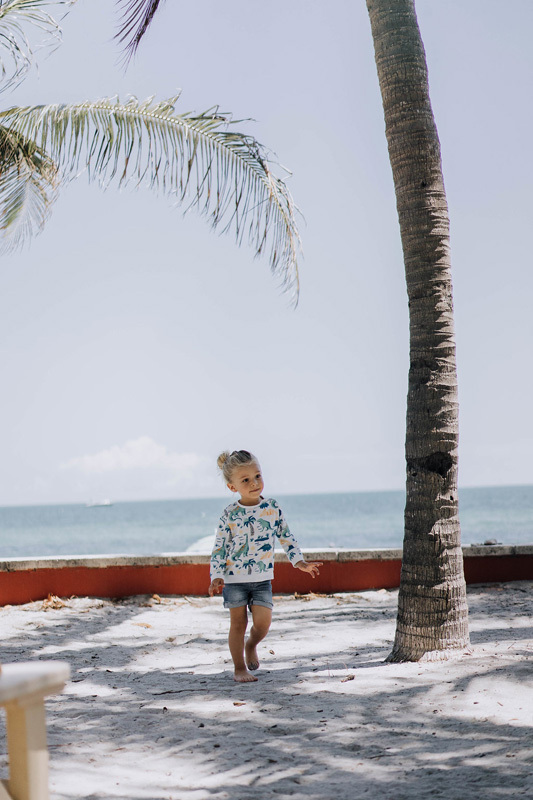 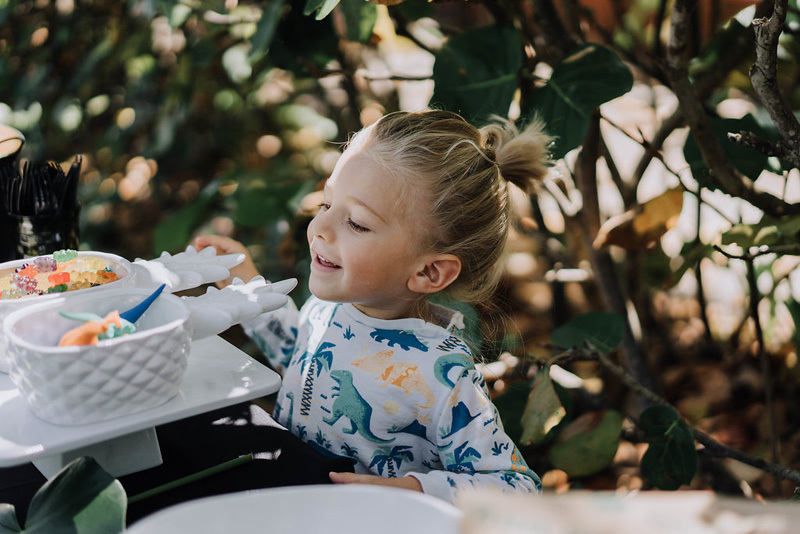 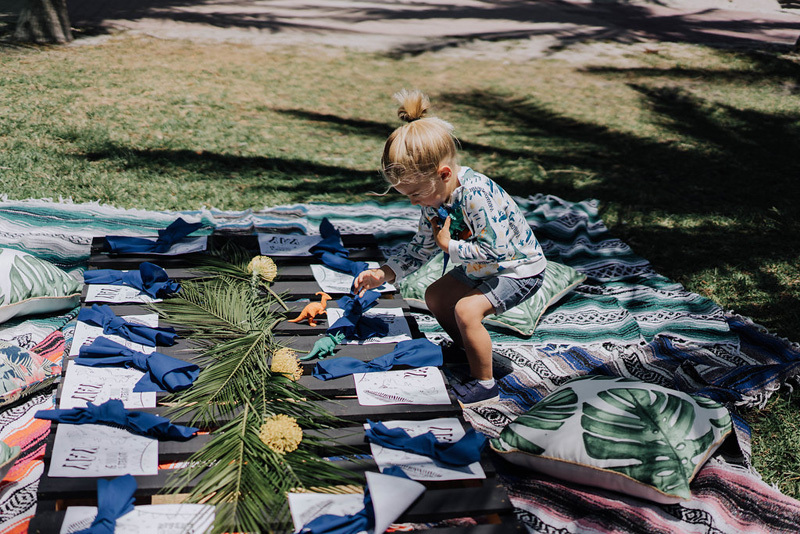 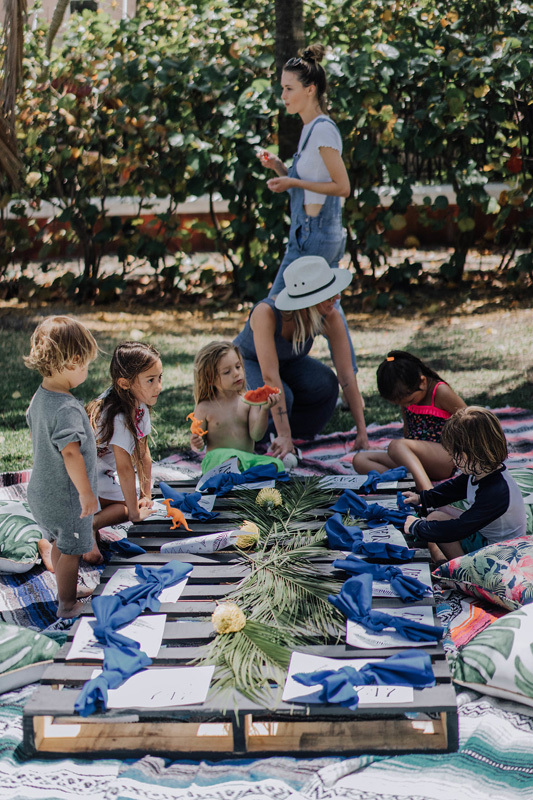 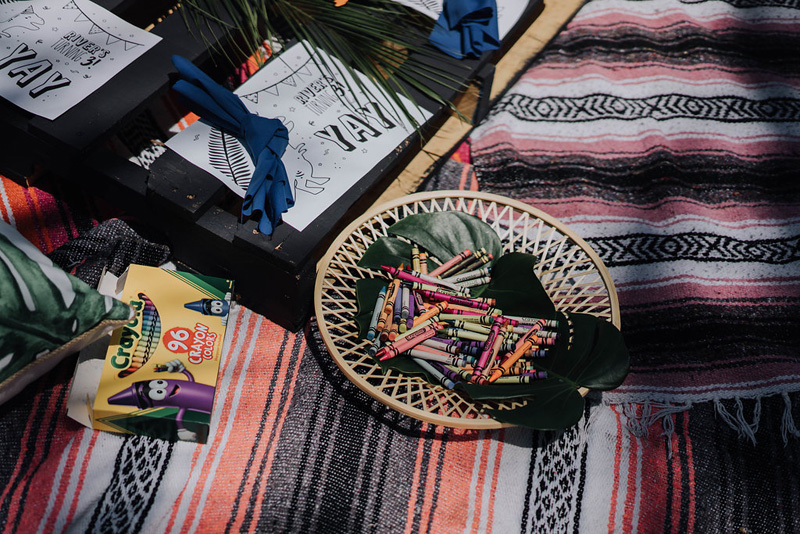 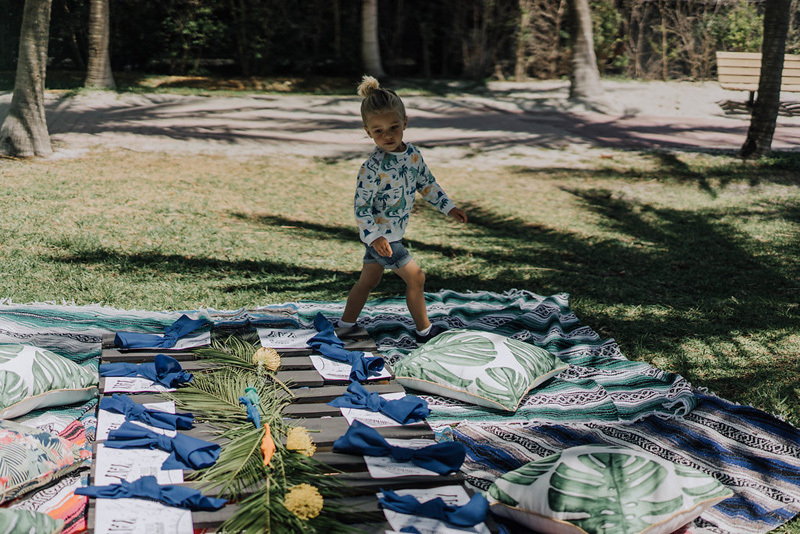 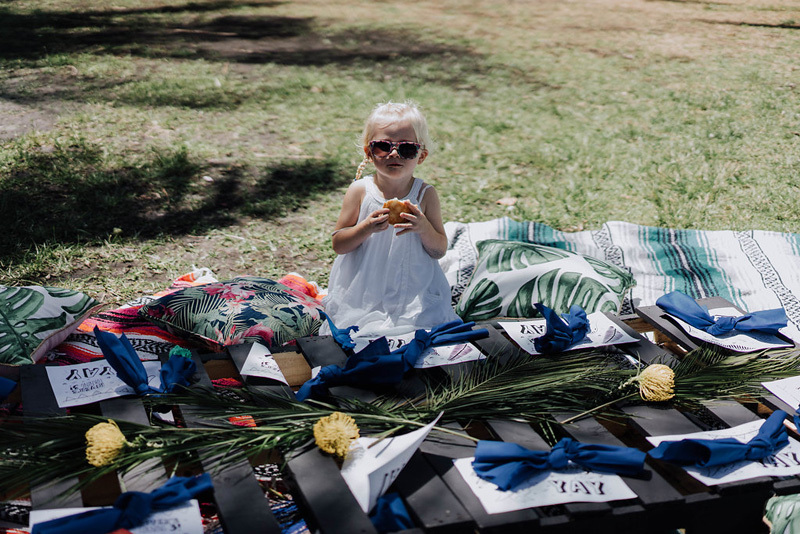 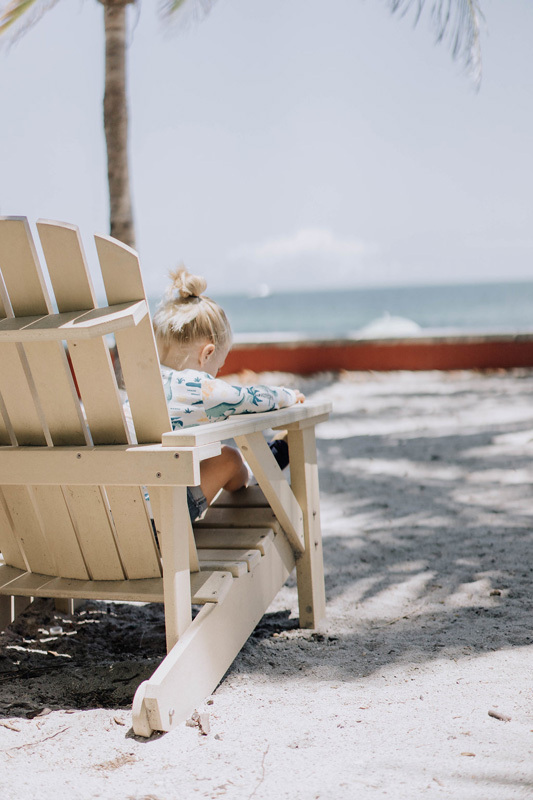 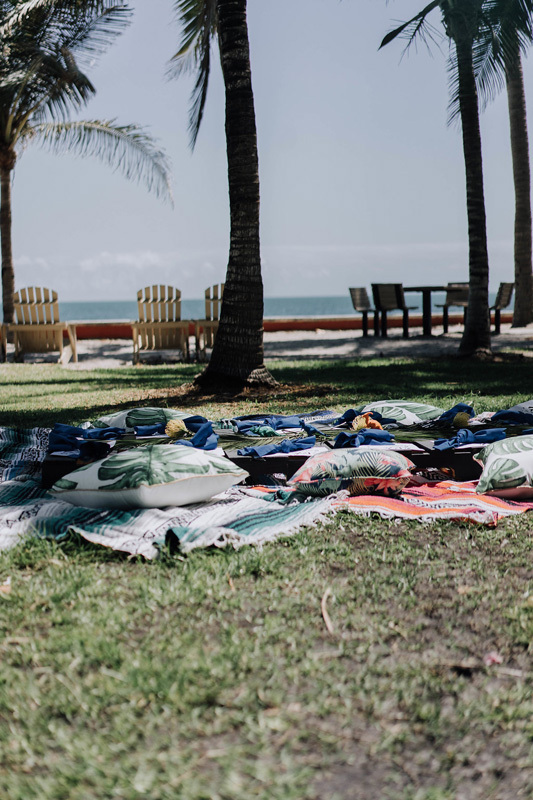 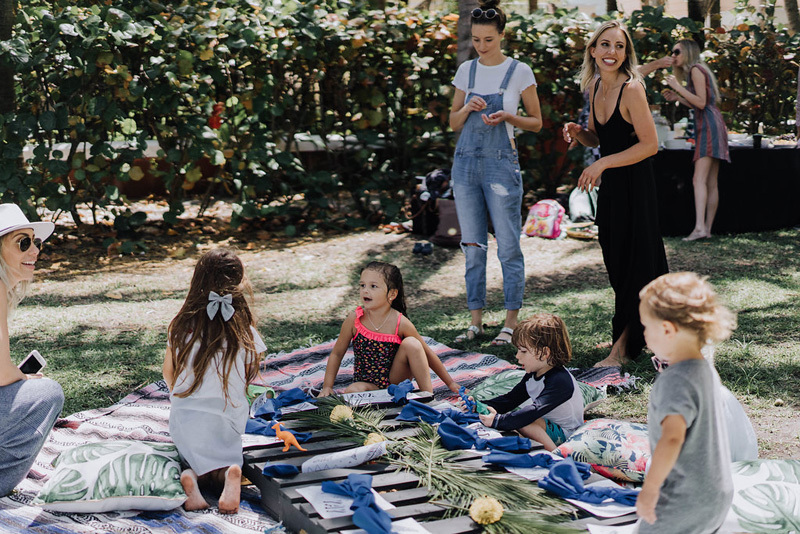 ‘We had a custom colouring placemat made for the kiddos to colour and we built a custom table for the kids made from palettes and decorated it with lots of tropical palms and florals,’ explains Ashley. 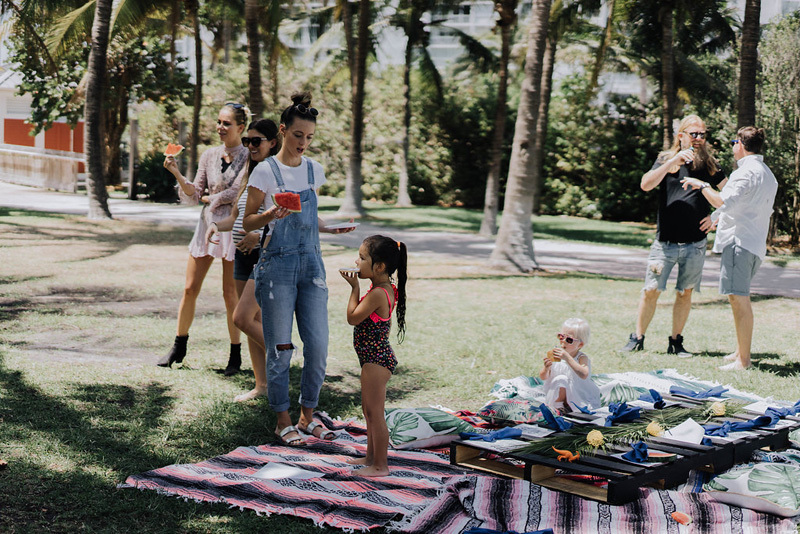 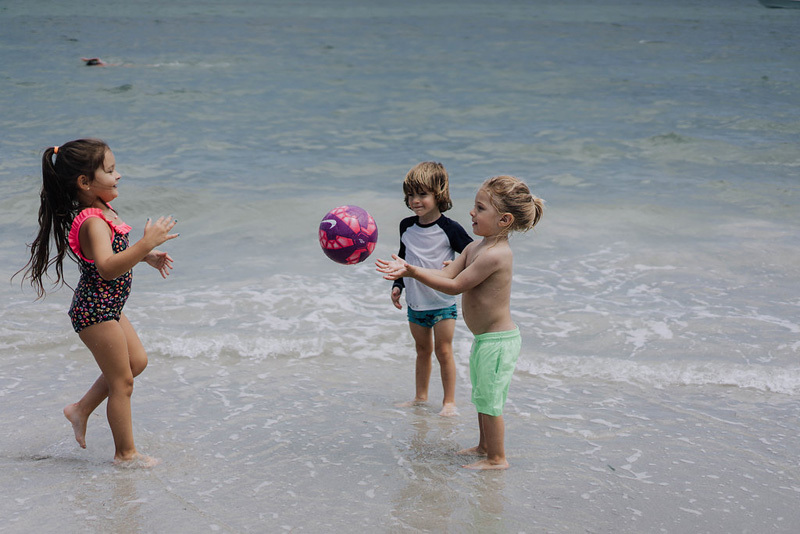 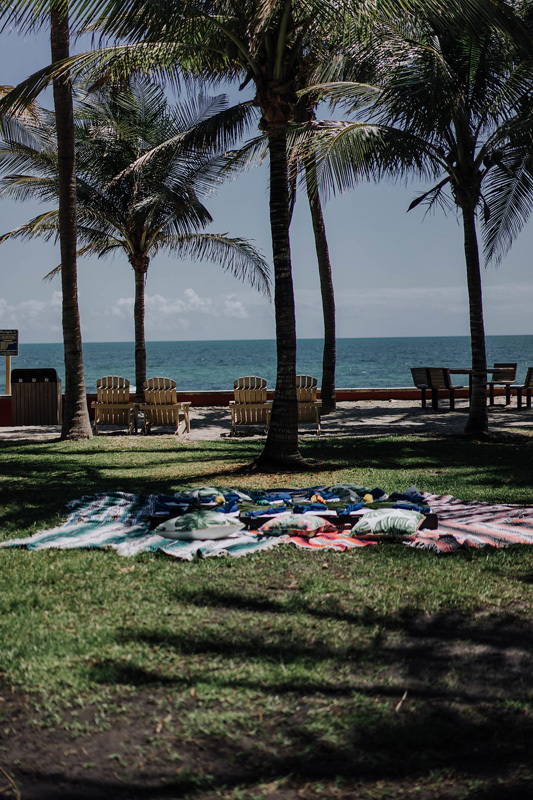 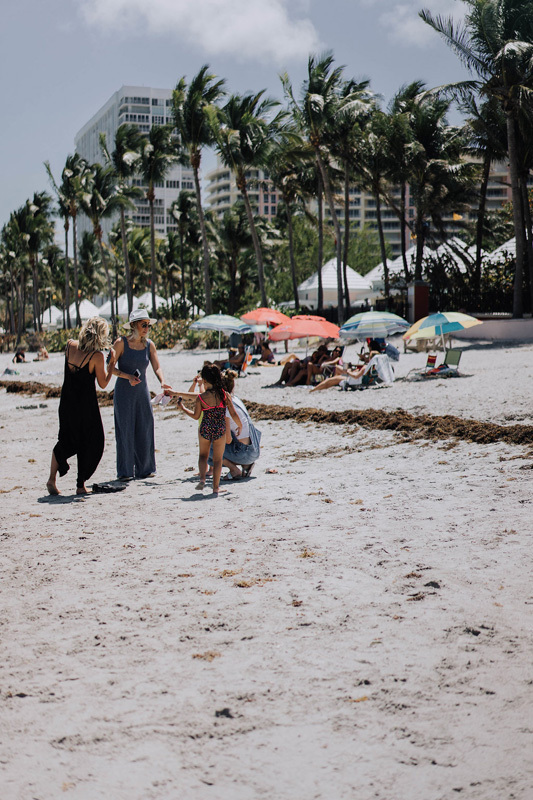 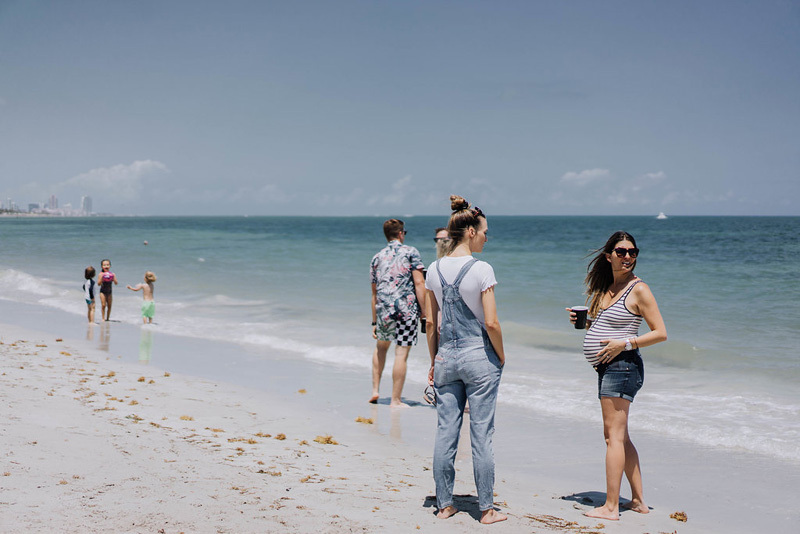 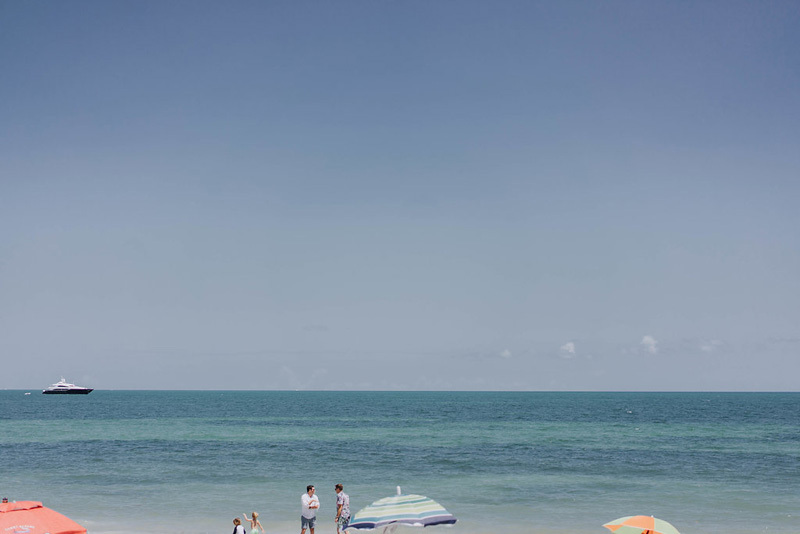 River’s birthday was held at Key Biscayne on Miami beach in South Florida. 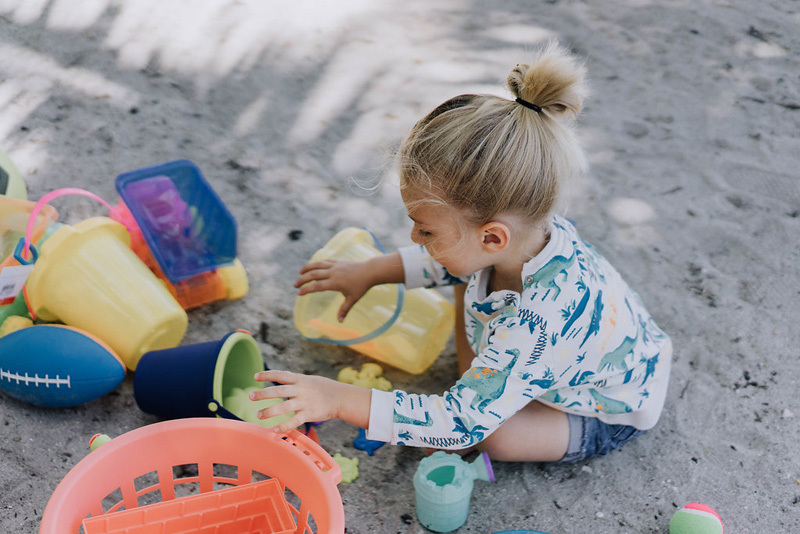 With the beach just a few metres away, entertainment was taken care of with just a few beach toys for the kids to use while playing in the sand. 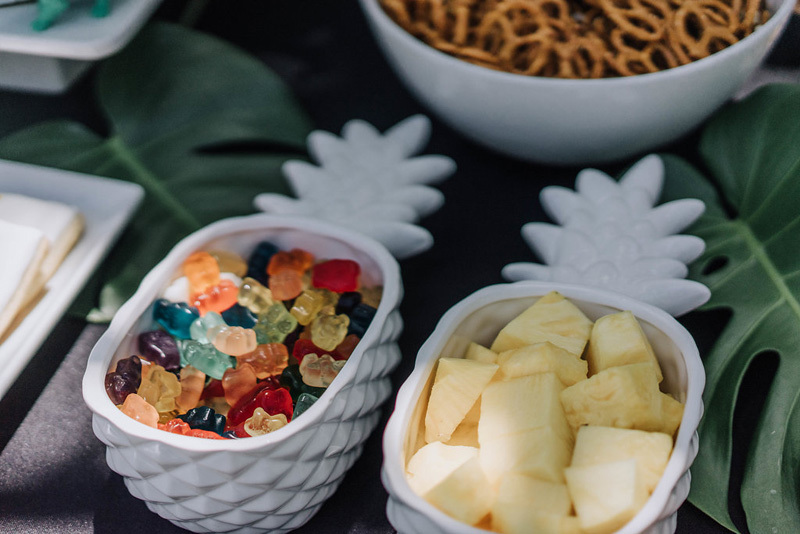 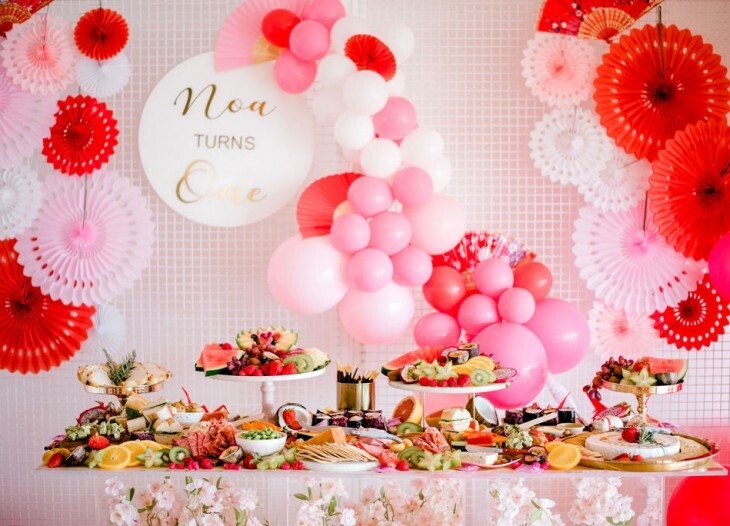 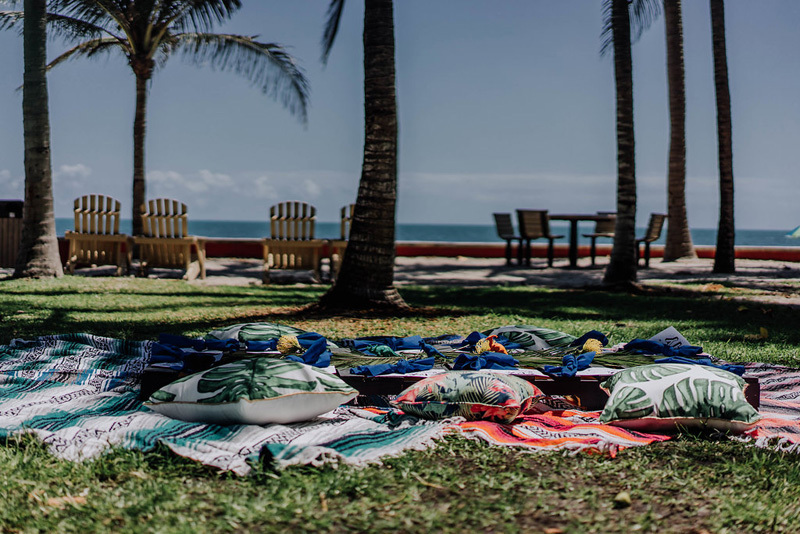 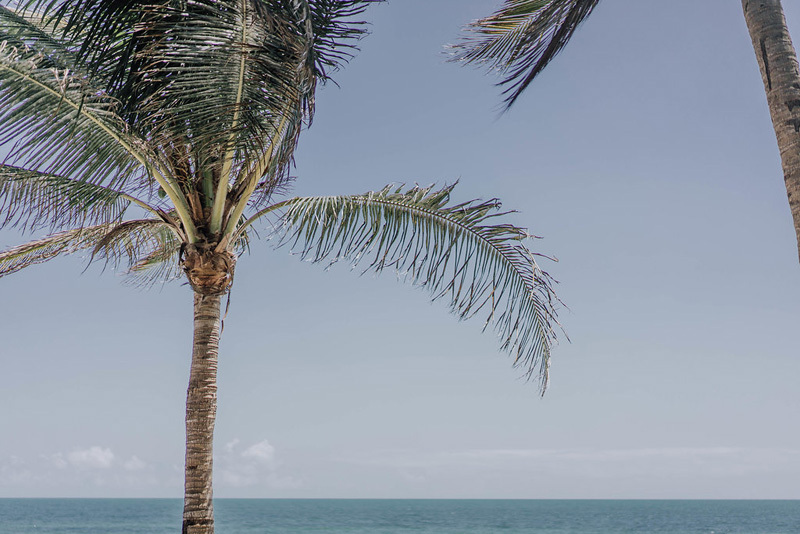 The location also made for a super laid-back party, which paired perfectly with an easy menu of fresh tropical fruit, sweets, pretzels and custom-flavoured cotton candy. 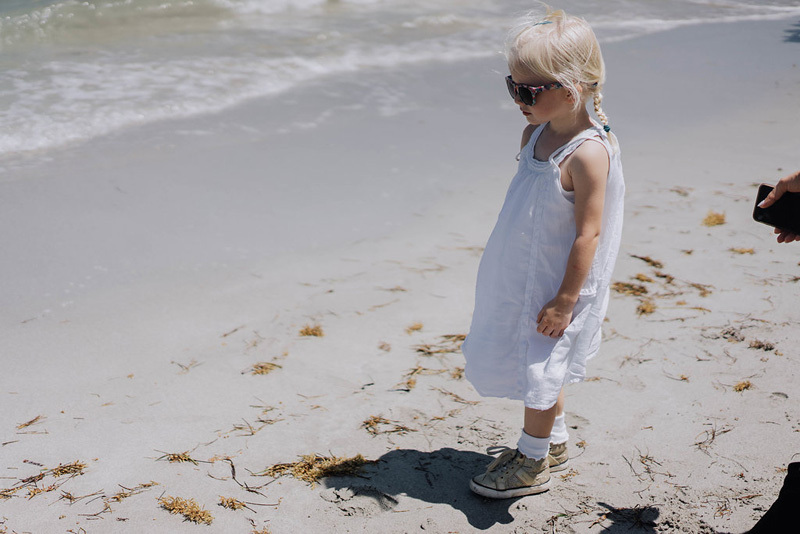 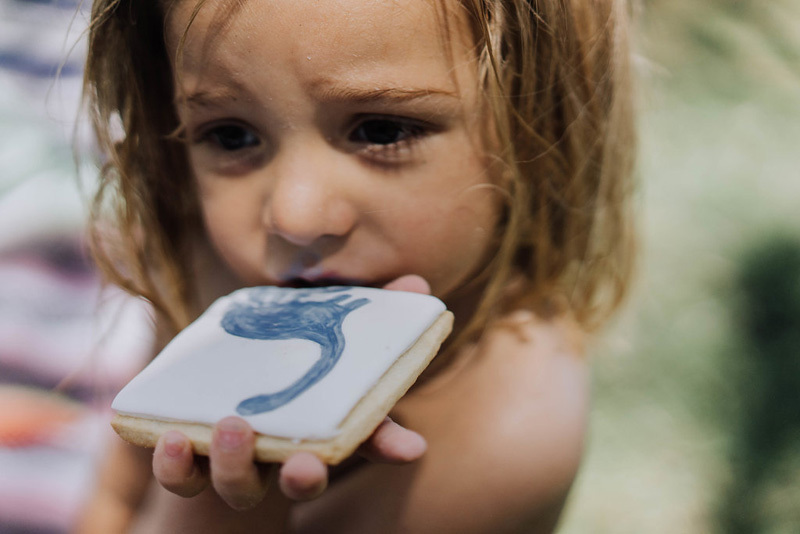 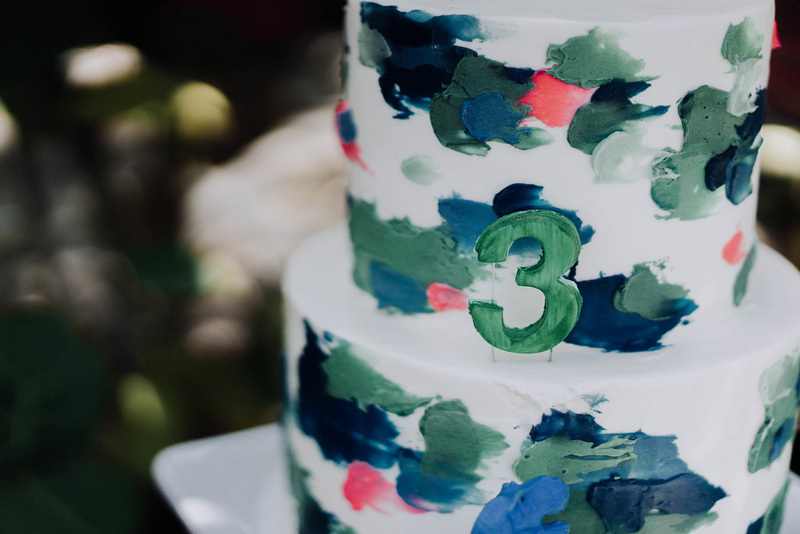 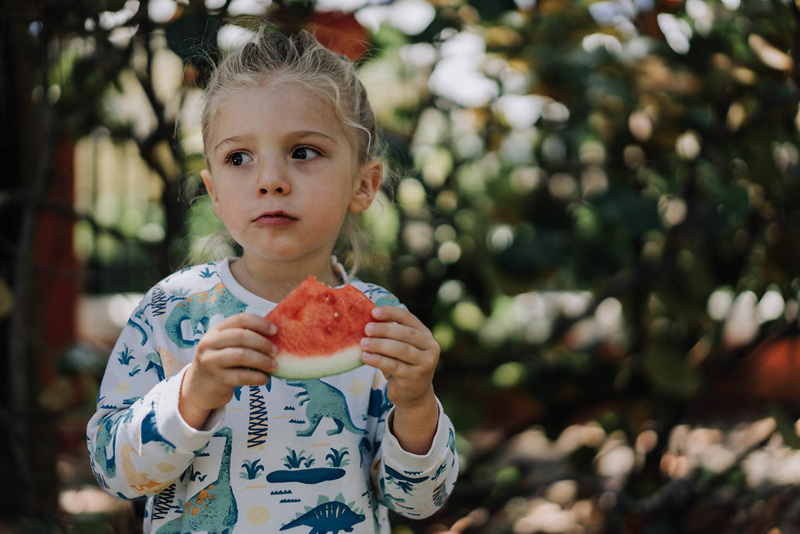 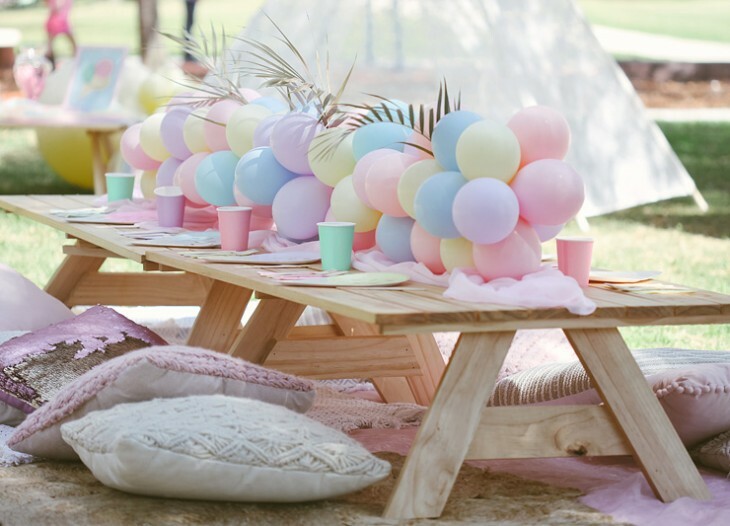 If you’re after some laid-back, seaside kids’ party inspo, keep on scrolling! 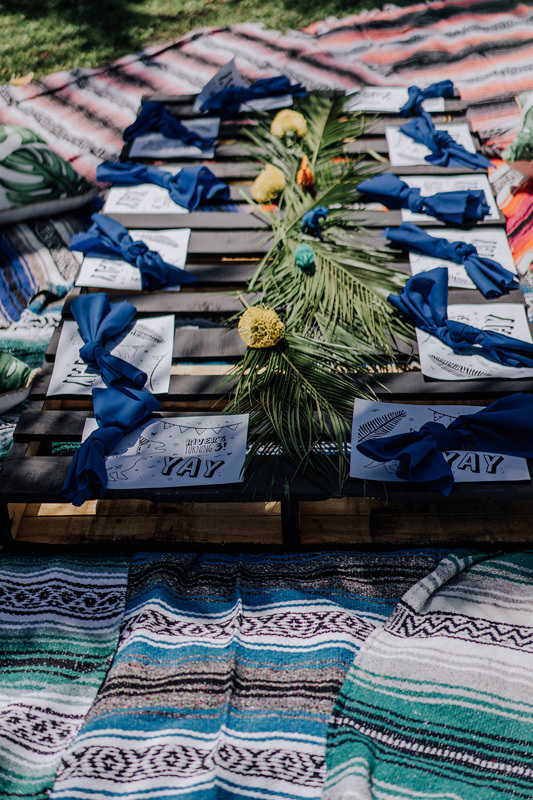 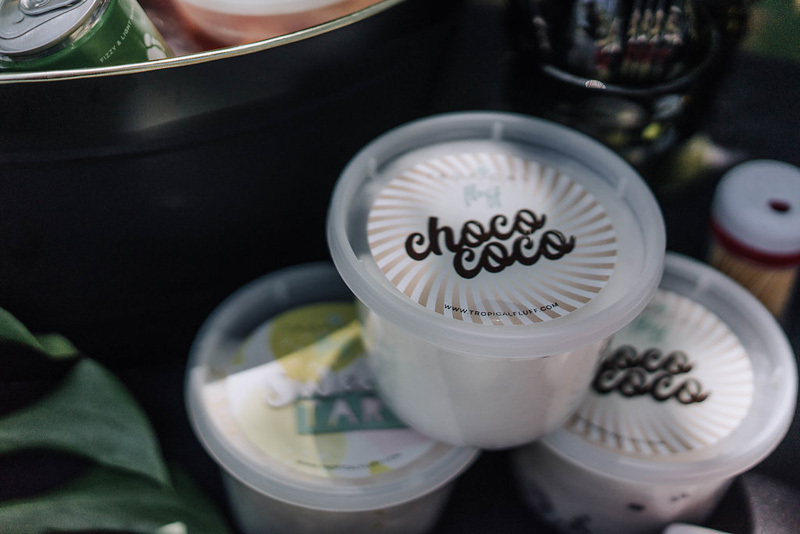 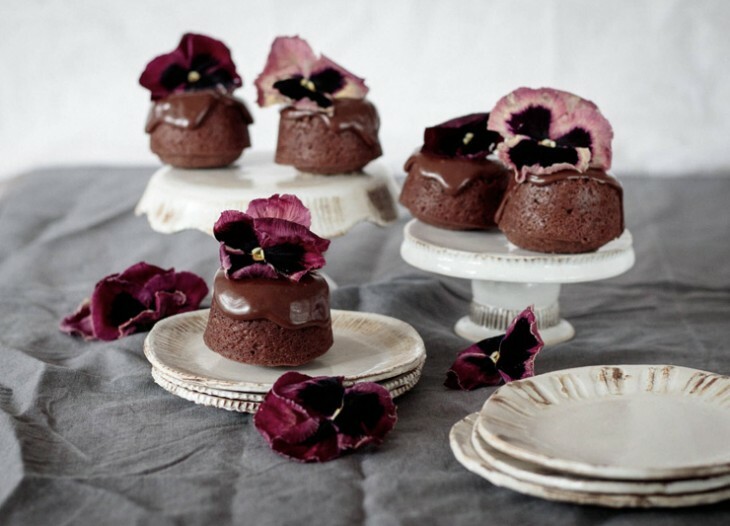 Head to our vendor guide to see our selection of vendors we love to recommend!